Do you have a longing to explore a deeper connection with God? Do you have a longing to explore a deeper connection with God? 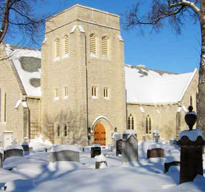 The Congregation of St. John’s Cathedral will be offering a course on spirituality entitled Growing Towards God. The course will run for five sessions, beginning in October and finishing up just before Lent. This will be an opportunity to explore and develop some tools for listening to God and deepening our awareness of God at work within us and the ways in which God may be calling us to respond to the world around us. Please join us for what promises to be a lively growing experience!